Middle East’s leading regional private sector natural gas company, Dan Gas, has awarded Adyard Abu Dhabi a subsidiary of Interserve plc, a $17 million contract for the fabrication of an offshore platform for the Zora Field Development Project which spans the territorial waters of Sharjah and Ajman, UAE. The platform is an important element in the overall scope of the Zora project, the aim of which is to extract the reserves from the Zora field through an offshore facility and to transport the reserves via a 35km subsea pipeline to an onshore gas processing facility in Sharjah onshore area. Dana Gas, one of Middle East’s largest regional private sector natural gas company, announces its financial results for the third quarter and nine month ended September 30, 2013 with a net profit of $28 million and $121 million (USD) respectively. Gross revenue for the third quarter was significantly higher at $170 million, an increase of 21% on Q3 2012. Earnings before interest, tax, depreciation, amortization and exploration (EBITDAX) was $93 million which was considerably higher by $6 million than in Q3 2012. Net profit remained flat year-on-year due to higher royalty and higher depreciation in line with higher production in Egypt. Accordingly, the Group posting a net profit of $28 million in Q3 2013 compared to $29 million in Q3 2012. Dana Gas PJSC, one of Middle East's leading regional private sector natural gas company, announces that it has achieved record production in 2013 in Egypt of 39,000 barrels of oil equivalent per day, including 190 mmscfd of gas and 8,500 barrels of liquids per day. 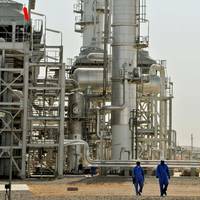 The Company has made substantial capital expenditure investments to its Nile Delta operations over the last 18 months. These include new compression facilities, new fields being brought on stream and work to increase its numerous gas plants throughput. As a result of investments made since February 2012 production levels have reached a peak of 39,000 boepd, an increase of 13% over the year 2012. The average output year-to-date has been 34,000 boepd. 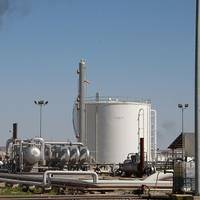 Dana Gas, a regional private sector natural gas company in the Middle East, announced a successful bid in the Egyptian Natural Gas Holding Company 2012 International Bid Round that took place on April 18, 2013. The Company has also been prequalified as a non-operator in Lebanon’s first Offshore Licensing Round. The Company was awarded 100% working interest in the North El Arish Offshore (Block 6) concession area. The area is located offshore Nile Delta, in the eastern part of the Mediterranean Sea, in water depths of up to 1,000 meters and covering an area of 2,980 km². The concession has an eight year exploration period comprised of three phases starting with an initial four year exploration period and two additional two year extension periods.